I’ve been in Detroit since June, and I’ve yet to find a day spa to unwind at. I’m still getting used to the physical effects that working a desk job come with, and I’d been craving a massage for months. 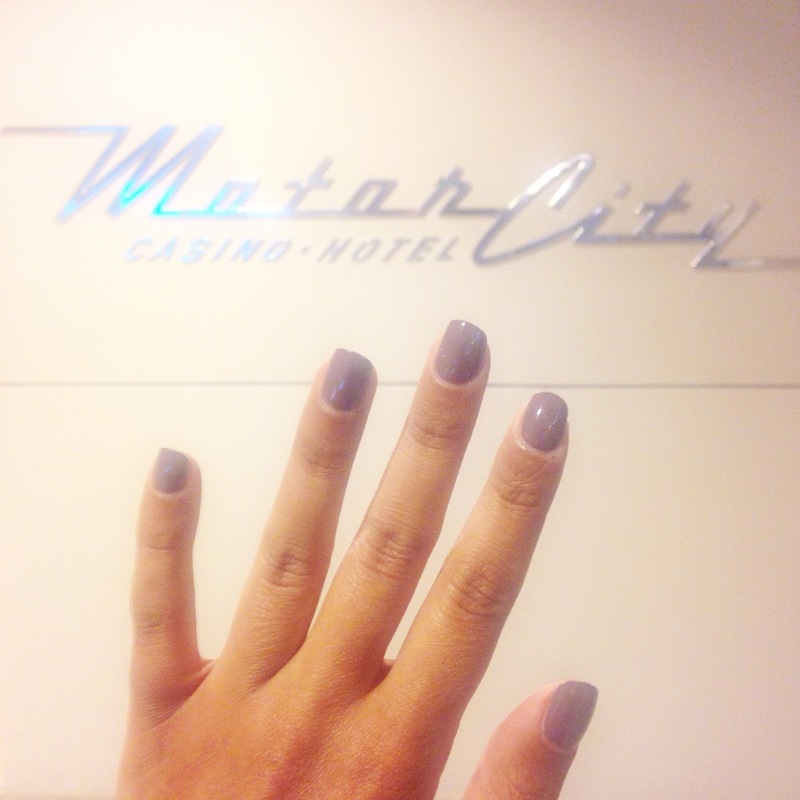 Recently, I was lucky enough to be invited* to the DTour MotorCity Casino Hotel Spa for a day of pampering alongside a few other lovely Detroit bloggers (including my friend Aly! ), and it was better than I could have ever asked for. The MotorCity Casino Hotel is overwhelming, in the best way possible. Tons of free parking, gorgeous decor, and a staff member never more than a few feet away. Helpful when you’re lost, confused, and a bit frantic like I was at 9am yesterday morning. Everyone I talked to was super friendly and helpful, especially once I stepped foot into the spa. I’ve been to plenty of day spas before (I even worked at one in college), but I wasn’t prepared for just how stunning this one would be. The decor is pure luxury with metallic accents, beautiful wood flooring, and ambient lighting galore. I received four services while I was there: the Urban Escape Facial, a 50 Minute Swedish Massage, and a Classic Manicure & Pedicure. The facial was incredible - warm towels, a bit of steam, and even a neck and shoulder massage were all a part of the experience. The massage was perfectly luxurious, and the mani and pedi was a super fun girly gab fest with a sweet nail tech named Erika, plus a soothing foot scrub and soak to boot. What I really liked about this spa is the privacy of the service areas. Even the manicure and pedicure rooms are closed off and out of plain sight. It made for a more intimate, comfortable experience that I really appreciated. With that said, there is also plenty of room to socialize: from the sitting room with TV out front to the lounge and dressing area in the back. There is also a sauna and jacuzzi, which I didn't have time to enjoy, but gazed at from afar. I'd come back in a heartbeat, especially with a group of girls for a birthday or bridal party. Plus, I got cute chocolates. I'm a fan. Enjoy 10% off until 12/30/15 by booking an appointment with code "EM-300".